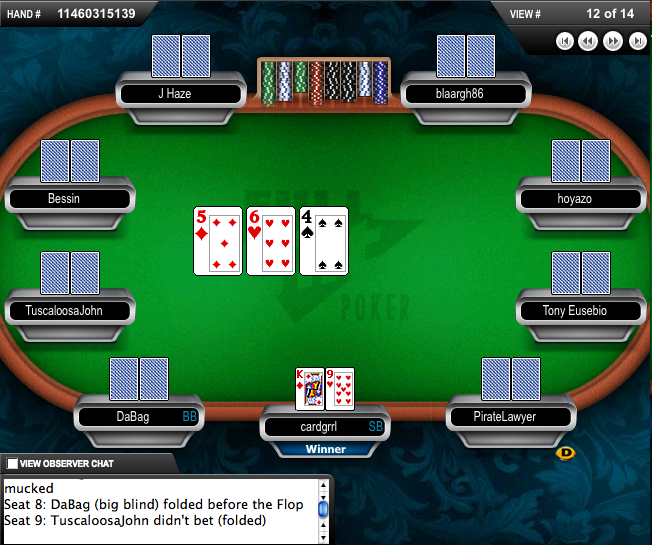 One of the reasons people's favorite hands are usually something under 10-high is because they don't want to get slammed if, for example, a King comes on the flop. If a 4 comes for 2-4, no worries. King-9 could be trouble. @Fred: I live on the edge, baby! It's a ridiculous, stupid hand, I truly get that. DANGEROUS favorite hand, as Fred already said. Good luck. I won a giant pot with Kc9c at my last live $1/$2 game when I called a $4 straddle from my friend, who had been card dead for 8 hours and was trying to mix it up. I even announced to him (and the table) "if it's action you want, it's action you shall have!" 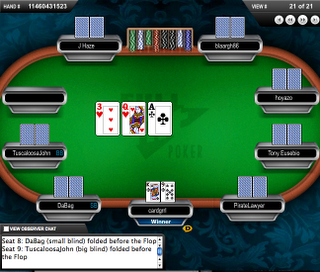 Flopped top two pair - bet out 3/4 pot on a 2 flush board and got 2 callers! Turn was a glorious King. Bet $50 into $60 and got another caller! 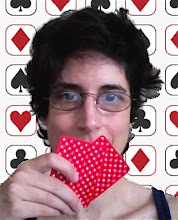 River bricked, only one hand beat me (KT) - I decided that if he had KT, c'est la vie. I put another $50 in, villain thought for a long time and folded. Told me he had K5s. Big $160 pot for me! An aside - K5? I mean, K9 is weak, but K5? Oof. Reminds me of why and when playing 64o can be useful. I used to think that playing 64o was a useless quirk of Vaninna, a PA player who loved that hand. But then one I found when it can be useful to play it. I was reading through tons of the usenet poker newsgroup's articles and a player named Aldo discussed how he won a big pot playing 64. It was a limit game, all the players were tight and predictable. He figured most of the big cards were out by the time he had to decide whether to play it or fold it. He played it, he won the hand. Actually, it may have been 64soooted and he may have flopped a straight flush, I forget. And it doesn't matter. What matters is that there was a reasoning behind his playing it. K9 is a good blind stealing hand, specially when the blinds are too tight. K9 is a decent hand to open raise with HU. It's not a very good hand to merge your range with from UTG.